The best and biggest game of the year is of course the Champions League final. This UEFA CL final is going to be a thrilling final between two big names in European football. The big question is: which teams are going to play this final? Will Real Madrid play their fourth consecutive final? Is Paris Saint-Germain finally going to play a big CL final? Or will Barcelona return in the final? Or is it going to be one of the English teams like Liverpool or Manchester City? 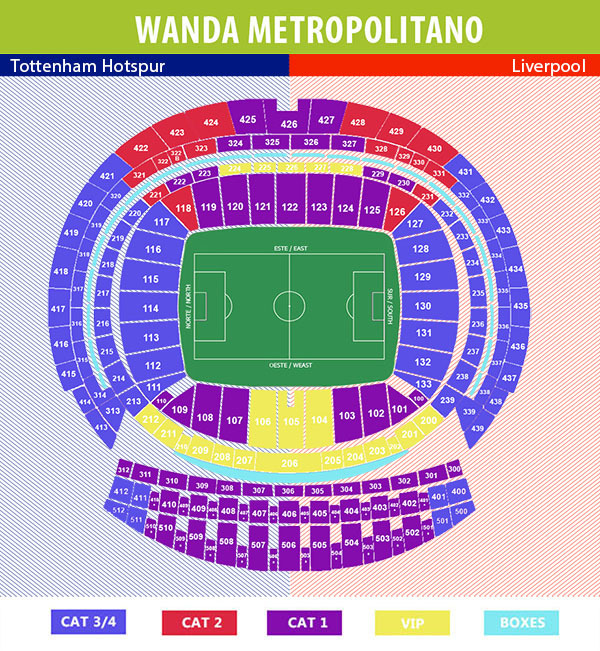 Livefootballtickets.com has a wide range of Champions League final tickets available. At the end of every season, the final is what everybody is looking forward to. The two teams with the best European performances of this season will face each other in an amazing battle for the best club football trophy. Book your tickets securely online through our booking system. This match is going to be an experience you will remember for the rest of your life! The final will be played at the beautiful Wanda Metropolitana in Madrid, Spain. This match takes place on Saturday 1 June 2019!